It’s that time of year again. Now that January is history, the next celebration is just round the corner. Valentine’s Day dinner often calls for a special bottle of wine, but the real secret to winning the heart of the one you love this year is a carefully chosen bottle of rosé champagne. However, with many different varieties available, this can be a daunting task. Fortunately, The Finest Bubble are here to guide you. Famous wine critic Antonio Galloni has previously commented: “Because rosés are typically produced in small numbers, they can often be a little more expensive than regular champagne… but the best bottles of rosé champagnes are always worth the money.” We couldn’t agree more, and this year we have three stunning rosés on offer, to help make impressing on the big day more affordable. 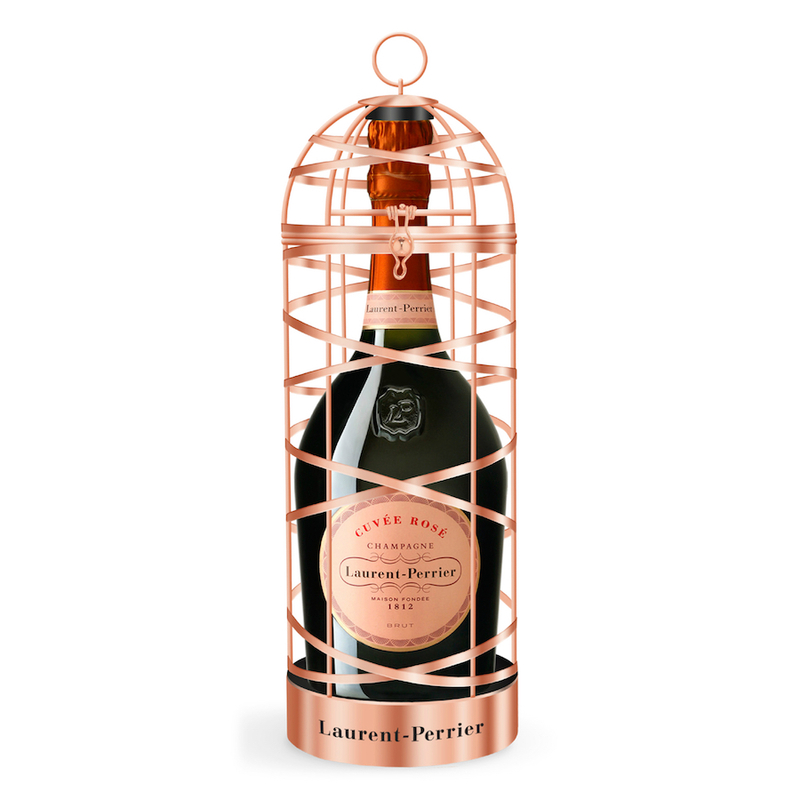 go wrong with Laurent-Perrier Rosé Bird Cage Limited Edition NV – the world’s most famous rosé champagne in a spectacular metal bird cage (pictured right). And for the forgetful (and spontaneous) amongst you – remember we can solve any emergencies with our two hour same day delivery service in London, operating from 09:00-21:00 on February 14th. For more technical information on the best rosé champagnes available on the market, check out the write-up of our comprehensive rosé tasting here. 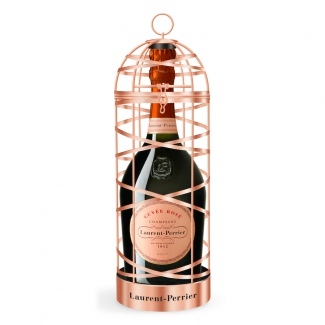 Our full range of rosé champagnes can be found here.